The contents of this web site are copyrighted and are the property of Power Lube Industrial, LLC. 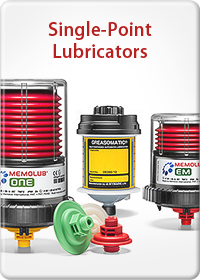 The use and any reuse of this material is intended for the sole purpose of promoting the sale, use of and deriving the benefit of MEMOLUB lubricators and MEMOLUB lubrication systems. Any other use will be considered a violation of the intended purpose of having made this copyrighted material available and will be prosecuted to the full extend of the laws of the U. S. A. in consideration of all International Treaties in this regard.